PLEASE CLICK ON THE RELEVANT LINK TO DOWNLOAD DETAILS FOR JOINING INSTRUCTIONS, PROCEDURES, NOISE ABATEMENT, RUNWAY MAPS AND FURTHER PILOT INFORMATION. Our runways have chalk centre lines, these are easily worn out and become damaged especially in wet conditions. Please avoid putting your wheels on the centre lines. Our runways are either 45 (25/07, 21/03) or 30 (29/11) metres wide please land to the left or right! White Waltham Airfield is situated in a very built up area. Although the airfield has been here for nearly 80 years, it is now nearly totally surrounded by a myriad of roads, railways and houses. 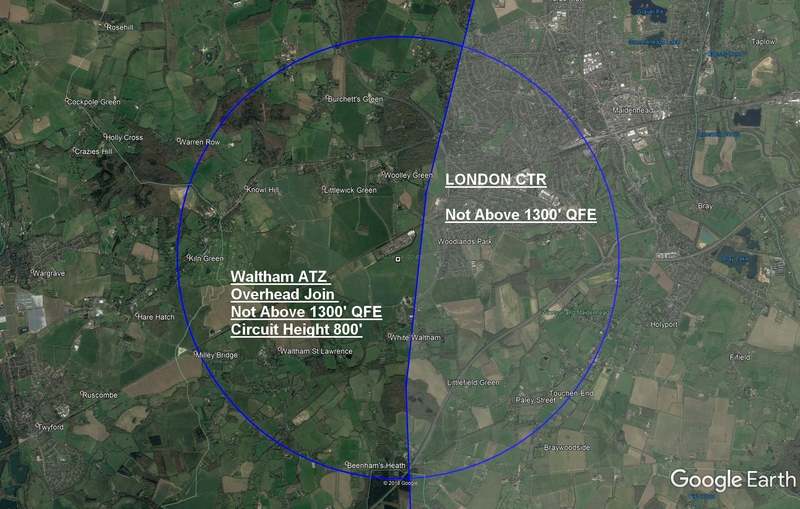 At West London Aero Club we take the issue of aircraft noise very seriously and have drawn up strict circuit and aerobatic procedures. All pilots, whether members of WLAC or visiting, must read, understand and comply with these. Please do not hesitate to call and speak to one of the instructors if there is anything you are not completely clear about. Be considerate especially if you have a constant speed propeller. Think noise abatement! Visitors uplifting 50 litres or more of fuel will be exempt from the landing fee. November – Bend in the Thames, one mile north of Henley. Sierra – Junction 10 of M4/A329M. 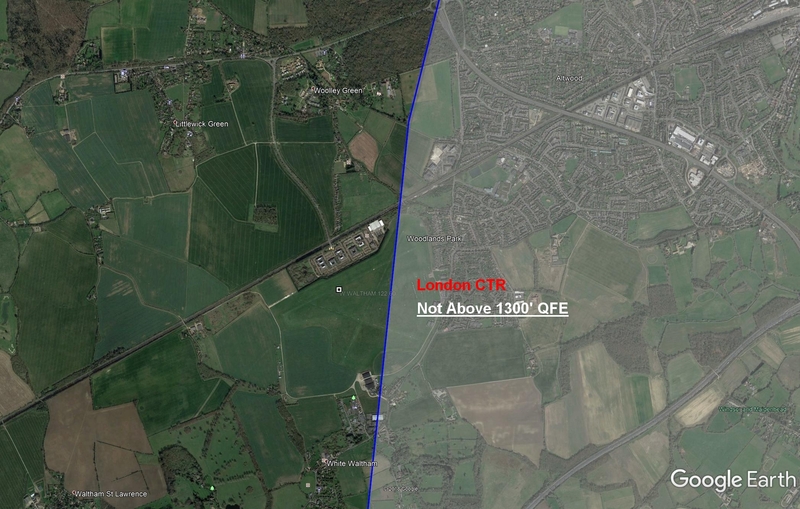 Aircraft should position to arrive in the overhead at 1,200ft QFE followed by a descent on the deadside to cross the upwind end of the runway at 800ft QFE to join the circuit pattern on the downwind leg. All fixed wing circuits are normally flown left hand except for runway 29 and 07, which are normally a right hand circuit. Non radio aircraft are only permitted by prior arrangement and should check the signal square for runway direction before descending below 1,200 ft. When right hand circuits are in force a right angled red and yellow arrow will be displayed in the signal square. 1. Aircraft remain below cloud and in sight of the ground. 2. Maximum altitude 1500ft QNH provided aircraft remain at least 500ft below cloud otherwise 1000ft QNH. 3. Minimum flight visibility 3km.